Hosting an event with people and amplified sound? Bad Quail is your production partner. Your show is your business, and we treat your show with the utmost care and attention to detail. Every seat must have good sound. We deliver professional quality, tour grade sound to provide the best possible experience to your audience. 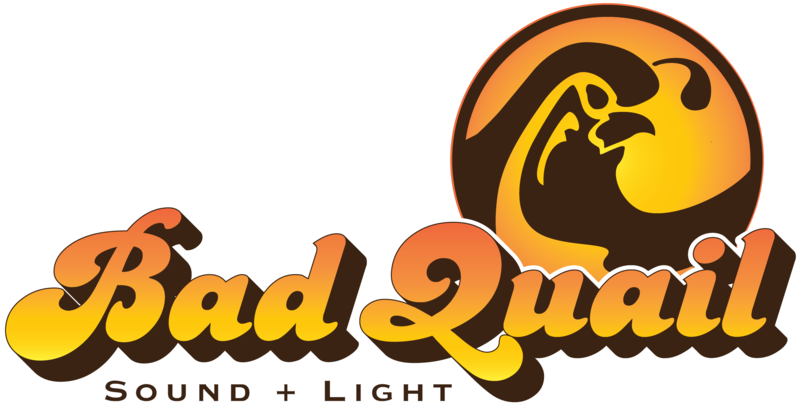 Bad Quail also provides mobile stage systems and stage lighting packages to offer a complete solution for your event production needs.